For airport owners and operators, airlines, handlers, service professionals and product suppliers worldwide – AiQ Consulting is your trusted partner in airport consultancy. We enable you to realise capacity – providing airport capacity planning, long term planning, master planning, airport capacity assessments, analysis, simulation, optimisation and scheduling throughout airport operations for Hub, Regional, Low Cost and Pop Up airports. Our practical attitude, intelligent design solutions and excellent consulting skills gives our clients confidence. With our wealth of experience and bespoke software, Transvision AiR, we solve the most complex capacity problems, optimise passenger experience and increase competitive advantage. We can plan and model any airport operation. 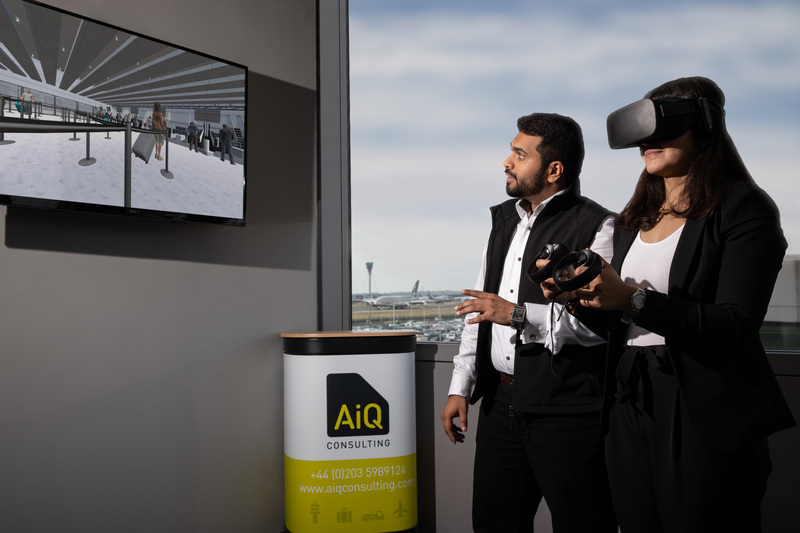 NATS and AiQ Consulting announce at PTE 2019 in London, a new collaboration that combines their Airside and Landside expertise for Airports to build growth, performance and customer experience. Join AiQ Consulting at the Passenger Terminal Expo 2019 in London Excel 26-28th March 2019. Over a decent cup of coffee from our trusty coffee machine, find out why we are the trusted partner for the world’s most constrained and saturated airports, with an expert team delivering end-to-end capacity planning assessments, taking on complex problems and enabling and simplifying decision-making. The Passenger Terminal Expo is the world’s leading international airport conference and exhibition, with unique opportunities for visitors to see and experience the very latest products, services and technologies.